Note to Readers: This essay compounds on some of the fundamental themes presented in Kokondo: Balance Equals Power (published in the March 2012 edition of Budo News). It is not an absolute necessity for the reader to read that article. However, it might serve beneficial in framing the below essay. For centuries martial arts was taught almost exclusively through kata, pre-arranged forms of movements, which taught the pupil not only the techniques but the underlying principles of the fighting art. In kenjutsu schools (classical Japanese schools of sword fighting) these kata were performed with one individual and other times as sets of movements with two individuals. In the various jujutsu schools, these kata also involved at least one training partner. The jujutsu kata ranged from long patterns containing as many as ten to twenty pre-set moves but shorter patterns were also referred to as kata. 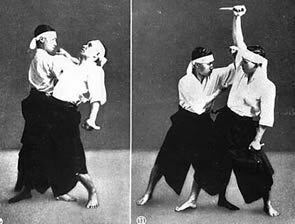 Any pre-arranged pattern or response to an attack was a form of “kata”. For illustrative purposes, within our Jukido Jujitsu curriculum, in the classical systems anything from Jukido-no-kata to any “core” self-defense response was considered a type of kata because it was a pre-ordained response to a specific attack. Later, Okinawan and Japanese striking based martial arts comprehensively became known as karate. 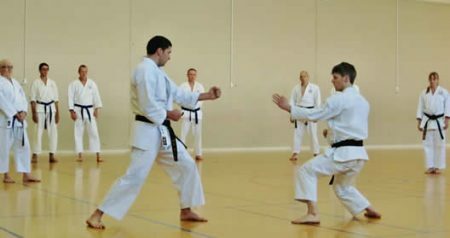 Karate, with very few exceptions, developed kata as a pre-set pattern of techniques practiced without a partner. Depending on the karate style, or even individual kata, the pre-arranged form could be used to develop self-defense techniques, correct use of the skeletomuscular system for transmitting (and absorbing) striking power, refinement of technique, and other fighting principles such as angling, distance, or movement. One of the principal reasons that kata developed as the primary training method was largely due to the brutality of the many techniques contained within the various combat arts. There were no safe alternatives in most cases. A warrior practicing with a sword was not likely to cut down a fellow warrior for the sake of perfecting a technique when he could use that warrior to cover his back tomorrow in battle. In jujutsu schools, which emphasized empty handed fighting techniques for instances in which the warrior lost his weapon, was he to actually break his partners joints or remove his eye with finger for the sake of practice? If so, he would soon run out of training partners and fellow brothers to fight at his side. As such, for this reason and others, kata became a fantastic and highly evolved method for developing the fighting techniques, concepts, and control of focused mind & body that would become so vital when using his skills in battle. Analysis (or reanalysis) of successful techniques and concepts that produced high probability for success in fighting. This formula was successful, even if costly given the trial and error of refining techniques in actual warfare, for developing highly developed warriors and highly developed kata that presented proven formulas for successful fighting. The combination of zealous training in kata coupled with the actual fighting experience afforded in battle presented him with a supreme method, even if costly, for developing into a highly effective warrior. The formula presented above worked in developing competent fighting warriors for an extended period of history. To the present day, the focused repetition of kata (in the broadest sense of the word) is the fundamental learning mechanism in learning any physical activity (learning how to write, memorizing letters through the alphabet song, learning how to drive, learning how to play a musical instrument, developing skill at playing a sport, learning how to use your body to throw another, etc.). As such, the kata ideology of learning is completely sound and just as important today as it was for the warriors of antiquity. However, time and culture created a void that presented serious challenges to the old formula of developing warriors with kata as the sole training method. When Japan entered the Edo Period (1603-1868) it entered into an unprecedented era of stability and peace. For approximately 250 years the country of Japan saw little to no warfare between warring clans. This presented the warrior class (samurai) with a new and unique circumstance. The samurai purpose for existing was to fight but there was no battle to fight! This created an incredibly significant gap in the formula for developing fighting skill through the combination of kata training and real experience in battle. With no battle to fight, this left the warrior without a means to apply what he learned in the dojo. It left him without a means to find out what worked and what didn’t and how to make adjustments to training as a result. Overtime this had profound effects in shaping the fighting arts. The arts “evolved” from being truly fighting arts to quasi-fighting arts. Without an actual fight to be had, the warrior class developed new ways of giving meaning to the arts they loved. Instead of training for necessity and survival they now began training the martial arts as a way of life. Training took on almost spiritual dimensions. Fighting clans began defining their success differently. No longer could they measure success through the objective results of battlefield fighting success. In this period of time we see the arts take on “name brands.” Each school or clan began to lay claim to having “secret” techniques (almost entirely to ensure they were sought after and to instill fear in other fighting clans).This period of time sees schools beginning to measure their competence relative to other schools based on the quantity of their schools curriculum. The greater the number of techniques or kata the school laid claim to the more lethal the particularly fighting clan. In an effort to get to this new ideal – supposedly “new” techniques (which may or may never work in real combat) were constantly springing up. Of course, because they were a warrior class, many of the techniques were designed to be particularly lethal. However, unlike the warriors before them, they didn’t have the ability to test the practicality of these techniques. There was no battle to fight and thus no proving ground for testing the true merits of such techniques. The techniques stayed in the pre-arranged format provided by kata that was the mainstay of fighting arts for generations. Many techniques were certainly much too dangerous to actually perform in practice as they risk potentially seriously injuring partners. They had to be simulated through kata and pre-arranged training with no resistance. Thus the lethality of said techniques was lethal in theory only. Suddenly, warriors who never actually fought in battle had “new” ways or “perfected” ways of performing the techniques without ever having truly applied them a single time in a legitimate struggle. The other consequence of this period of time, with respect to kata development, was the ideal of perfecting the kata for the sake of the perfection of the kata itself. Kata was transforming into something to be developed for artistic perfection. The most meniscal and nuanced portions of techniques was dissected in every way possible. Performing the “perfect” technique or kata becomes something akin to Satori and a practitioner may practice an entire lifetime to achieve this one moment of full enlightenment. The kata was no longer a means to an end. The kata was the end. Although all of the above is a generalization and there were many good aspects of the combative arts that evolved during the Edo period, we do see a change in the standard thinking as to what constitutes credibility as a fighter. Without an objective measure of success or failure, afforded by fighting in battles, many combative schools begin to value their work based on the quantity of moves and the aesthetics of performing the correctly “branded” way of performing the move (because – after all, the other clans have it all wrong. Only we have the exclusively correct answer as to how to swing the sword at exactly the right angle…or the choke someone unconscious). Perfection of kata was thought to be perfection as a real fighter. Gradually, not all, but many fighting arts move toward subjective measurements of proficiency as a martial artist in contrast to the earlier objective measures of fighting value that their predecessors experienced. Later, at the end of the Edo Period when Japan was forced to modernize – the entire idea of archaic fighting arts fell out of favor. The martial arts, kenjutsu and jujutsu especially, were seen as outdated relics of the past. Many jujutsuka also suffered from a poor reputation (in many cases justifiably so) and were regarded as street thugs and bullies. The entire idea of fighting barehanded was seen as uncivilized and savage. In a Japanese society that was looking to Westernize – the martial arts, especially jujutsu, were facing the very real possibility of extinction. The survival, evolution, and revolution of the fighting arts of Japan into the modern area can be credited without question to one man, Professor Jigoro Kano. Although there were many important characters that made very genuine and serious contributions to the fighting arts after the Edo period – none of them played the vital and revolutionary role that Kano did when he sought out and developed a new reformed approach to martial arts manifested by his new “way” – Kodokan Judo. Professor Kano spent his entire adult life, beginning at age 22, reforming the classical art of jujutsu and, by his influence, all of the other Japanese martial arts in ways that live in nearly every dojo in the world today. Although a thorough dissection of all these many reforms is beyond the scope of this essay, one of the reforms is vitally important: The introduction of live training (or freestyle training) as an equal and complimentary partner to kata training for the effective and objective development of the martial artist. One of the primary radical revelations that Kano made, as a young master of jujutsu, was the inability to truly test student’s effectiveness as martial artists. There was no battle. The nature of battle had changed entirely. Moreover, the idea of having students fight full-out in order to test fighting effectiveness was not only completely unacceptable to the new Japanese societal norms but it was genuinely at odds with Kano’s moral ethos. Safety concerns, societal sensibilities, and Kano’s ideals wouldn’t allow for such a savage approach. This led to many instructors sticking exclusively to the kata format. There didn’t seem to be many other options. Kano, himself a fierce advocate of kata training, saw it differently. He was determined to find a socially acceptable, safe, and beneficial way that allowed students to truly test the effectiveness of their techniques in an objective manner. Kano’s solution to this problem was to develop randori (freestyle practice) for his jujutsu. 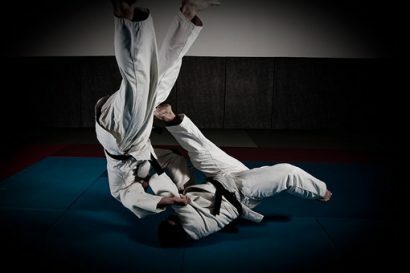 Randori is the training method that allows students, without the designation of Tori and Uke, to freely attack each other with full speed and power with a limited, but still extensive, number of techniques that could be safely applied with complete physical resistance by both training partners. Much more then developing or innovating new techniques (which he did to some extent), Kano was much more an innovator in the implementation of training methods to develop those techniques. Kano felt that although randori was incomplete by itself, in combination with kata practice and other fully cooperative training methods, it went a tremendously long way in making his students much more effective martial artists. He came up with the radical notion that even with a more limited set of “safe” techniques, a student who practiced those techniques in live training sessions regularly with a fully resisting partner and regularly applied those techniques in the heat of the moment would fare much better than a person who had no “live” training and only practiced techniques in exclusively pre-arranged no resistance training sessions (even if they “knew more” or knew “deadly” techniques)…and he endeavored to prove it. The first of a significant series of events that provided empirical evidence to the young Kano Sensei’s hypothesis was the 1886 tournament between members of his dojo (Kodokan) and members of a variety of classical jujutsu schools (mainly represented by the Yoshin-ryu). This tournament was hosted by the Tokyo Metropolitan Police. 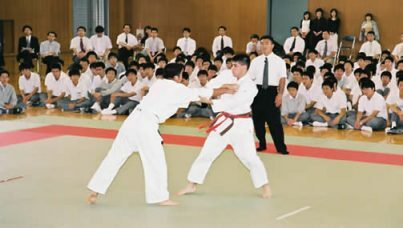 The Tokyo Police hosted this tournament to determine which approach to jujutsu would be adopted by the police force. Of the 15 matches held that day, the Kodokan members won 13. The other two matches were a draw. The young sensei and his Kodokan members clearly defeated not only members of classical jujutsu but also generations of assumptions as to what truly makes an effective fighter. Although Judo from World War II onward has changed significantly – the early pre-War Judo which was closely monitored by Kano, advocated a strong balance between kata and randori (live training). In Kano’s view, any technique that could be practiced safely with full speed and power against a resisting opponent should eventually be practiced in this manner (at least a portion of the time). If a technique could not be practiced safely in this manner, than the technique was not eliminated but rather it was preserved in pre-arranged practice methods, most notably through kata. He felt the balance between the two approaches was absolutely paramount. He recognized that randori and live training alone could not provide the student with everything they needed. Kata was essential. However, he felt the same about kata (and other forms of no resistance/pre-arranged practice), by itself it was incomplete. Kano felt and proved that martial artists that don’t have a strong foundation of training with full speed and power against resisting opponents will be thoroughly “schooled” by those martial arts that do. Although his approach was initially rebuked by exponents of classical jujutsu systems at the time; eventually the Kodokan with its training and pedagogic reforms won over the classical systems. Many of them ended up embracing the empirical data and merged into the Kodokan. This resulted in the pre-WWII Kodokan becoming a melting pot of many of the great jujutsuka under the guiding principles set forward by Jigoro Kano. Kano’s overall approach to educating students, preserving his beloved art, and advocacy of the necessity of live training methods as the counter-weight to kata were adopted by nearly all other fighting arts. Kenjutsu (sword fighting art) experimented with ways of training that allowed for free style live training against a resisting opponent. This eventually led to Kendo. Master Gichin Funakoshi, father of modern day Japanese karate and admirer of Kano, adopted many of the Kodokan reforms and made them applicable to the striking oriented fighting art he loved. This led to the development of jiyu-kumite (freestyle sparring with no prearrangement). Later on, Kyokushin Karate master (and karate sensei to Shihan Arel) was an advocate of an especially intense form of kumite. These masters valued kata exceedingly but also valued objective results that live training, albeit with conditions, provides. Under Kano’s direct supervision and implementation, jujutsu adapted to become more culturally acceptable, beneficial, and effective through a balanced diet of pre-arranged and live training. However, the success and expansion of the Kodokan (and other arts mentioned above) was a double edged sword. Over a relatively short period of time, Kodokan Judo and many of the arts they followed Kano’s lead become quite popular with the general public. The arts were saved from potential extinction. The rate of growth was so massive that these prominent masters could not contain their own creation . As a result, overtime the overwhelming majority of the arts that incorporated freestyle/live training modified those training methods into full-blown sports. The ever increasing number of rules, regulations, and focus-shifts (from combatives to winning in sport) led to imbalance once again. Although not true in every case, many of these arts began to view kata as less important. Many provided lip-service to the importance of kata but the evidence was clear based on the training regimen. Little or no time provided to kata gave way to live training that was now designed with one purpose in mind, winning in the sport arena. Rather than being a combat art with a relatively small (occasional & optional) sport component, as envisioned by Kano, these arts eventually had little or no combat component. The sport was now the art itself. Eventually less thought is given as to how an actual technique or strategy might work in real life combative encounters and more thought was given to how to gain competitive advantages. Soon techniques with no real merit in fighting, but highly effective at scoring points based on tournament rules, began to crop up and become the norm. The “live” training was no longer used to develop various beneficial attributes and to test the effectiveness of combat techniques. Techniques were being performed in a manner that was designed to work solely in those competitive sport environments. This created an interesting and ironic twist in the history of many martial arts. Now it was the live training, or more correctly, the sport-specific approach to live training that led to losing touch with the realities of how a fight takes place in the real world. The objective results that practitioners were producing were only true within the narrow realm of their sport. In an ironic twist of fate, many highly experienced practitioners (including Shihan Arel) eventually moved away from the sport-based approach of live/freestyle training feeling that it ended up creating students who might be very good competitively but who were no longer considering the techniques from: the viewpoint of real self-defense, were dismissive of kata, and were tumbling out of balance with the ideal that innovators like Kano strived for. In order to create the most effective martial artist possible there must be a healthy and balanced diet of: pre-arranged highly nuanced training coupled with (less nuanced) safe forms of live freestyle training against a resisting and determined opponent. If the delicate balance between pre-arranged and live-training falls to extremes in either direction – you have unintended consequences that produce highly specialized students ( i.e., the most impressive karate kata performer you’ve ever seen or the Tae Kwon Do sport champion) who may or may not be able to get job done in real world scenarios. 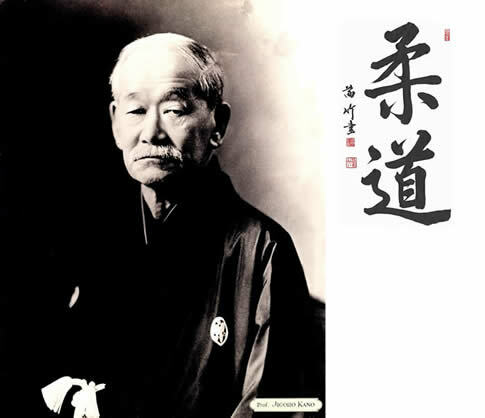 As it pertains to Jukido Jujitsu (and later, Kokondo Karate), Shihan Arel took many of the historic and truly beneficial innovations that Kano brought forward into his own young system of jujitsu. However, unlike Judo, Jukido Jujitsu from its earliest days was designed to take those amazingly beneficial innovations and reapply them straight back to the original purpose of any real martial art – self-defense. Jukido Jujitsu, being a jujitsu system with its mission being the preservation of jujitsu as a form of self-defense , the question that must constantly be addressed is how we find the balance that Master Kano had so correct while at the same time guaranteeing that the focus on self-defense (not sport) that Shihan Arel demanded is never a lost or a secondary priority. Although it isn’t easy, for us to be martial artists who have a truly honest grasp of our abilities in an objective way, we must constantly strive to find and maintain this balance. This point seems almost too obvious to mention, but as I’ve already explained, too many of today’s martial arts students are playing at combat. There is a time to learn form and technique, a time when attacks must be measured and restrained. But once the mechanics of a given defense are learned, you must test and refine that defense against serious attacks. A serious attack is, to the greatest extent safely possible, an attack done full strength and full speed. As unsavory as it seems, you must learn what it feels like to defend against a man trying his best to punch you in the face or kick you in the groin. You need to experience the difficulty of breaking a bear hug when a stronger attacker refuses to let go…a cycle emerges. First work against slow, restrained attacks until your defenses…become second nature. Then, increase intensity until you are really defending yourself. These principles are central to learning true self-defense. In past centuries, there was no such thing as free sparring. Warriors learned the various techniques and practiced them in choreographed, controlled sets with a partner and in solo patterns (kata). Since there was little or no concept of controlled contact, controlled locks, and safe breakfalls, the dynamic, rough and tumble sparring we see today would have resulted in serious injury or death. We can thank early twentieth century budo masters such as Funakoshi who introduced kumite (free-style karate training), and Kano who introduced randori (free-style training for grappling arts such as jujutsu, judo, and aikido) for providing these excellent methods of training. You’ll never learn to fight until you know the feel of hitting and being hit. That doesn’t mean you need to climb into a ring and bash it out. Nor do I suggest a small woman learn to absorb even moderate blows from gorilla-sized men. But fighting is a brutal experience and you’ll never be….prepared for it unless you have tasted some amount of contact. “You can’t do a kata on someone who attacks you,” is a common expression in American training halls. These same students aspire to be great masters like Myagi or Funakoshi, but what they don’t realize is kata is what made these great masters great. Controlled sparring, as I’ve said before, is a definite improvement in modern martial arts training, but it will never replace proper training in kata. A traditional student learns to discipline every bodily detail (through kata/prearranged practice) from his gaze to the angle of his toes. He knows without looking whether his wrist is straight or his back leg is locked. It’s this kind of discipline that makes the difference between two otherwise evenly matched fighters. Mr. Morgan makes many solid points for martial artists, like us, who seek balance in our martial arts system. Balance between: softness and hardness, points vs. circles, striking approach (karate) vs. close-quarters approach (jujitsu), empty-handed vs. weapons, tradition vs. relevance, attention to detail vs. getting the job done when it counts, pre-arranged formal training vs. live free style training. The necessity for these three categories is to ensure the overall development of a student who is technical, knowledgeable, and proficient fighting in real world self-defense. The variety of drills within each of the three categories is to fill in inevitable “training flaws” within each of the drills. More on this later as we break down each category. However, it should be noted that these three categories are not entirely progressive. Rather, each category is being practiced all of the time to varying degrees. That is to say that you NEVER move past category 1 and now only train exclusively on category 2. A martial artist of an expert level trains in all three of these categories to varying degrees based on the particular focus of the training session. All categories have basic, intermediate, and advanced training methods within their own realm. Formal training that involves no resistance, full pre-arrangement (i.e. universal pattern to follow), and absolute attention to detail is truly the backbone of becoming competent at martial arts. This is where we learn how to move, why we move the way we move, and instill the fundamentals into our muscle memory. For a non-martial arts example, a basketball player must learn the rules of the game. He must learn the skills of the game, including: tripling the ball, the technique of passing the ball, how to shoot the ball with proper form, etc. All of this has to be done in pre-arranged practice. He doesn’t have to reinvent the wheel. He absorbs the information from all of the previous generations of great players/coaches and learns them through pre-arranged drills and patterns of movements in which there is no one resisting him (trying to block him shooting the ball or attempting to steal the ball away from him as he is trying to get a handle on how to run the court while tripling the ball). In this category a jujutsuka might be learning the core self-defense curriculum, formal throwing techniques in both stationary and moving situations, how to apply choking techniques while holding someone on the mat, or learning how to fall and tumble correctly to ensure safe practice (ukemi).The jujutsuka begins to understand and absorb the importance of redirecting aggressive energy and breaking the attacker’s balance. The karateka would also be learning core self-defense. Additionally, he would begin the process of learning how to move his body in the various fundamental stances and accompanying blocks, strikes, kicks, etc. The karateka does this stationary and walking up and down the dojo floor. Eventually he’ll begin combining various techniques in sets of combinations. Sometimes those techniques are practiced with a partner (sanbon kumite) in pre-arranged sets of basic movements and many times he works to master formal kata emphasizing a variety of vital techniques and concepts. The karateka is beginning to turn his body into a potential striking weapon. Category 2 is built on the undeniably necessary foundation build in Category 1 while at the same time addressing the fundamental “training flaw” presented by Category 1. One the one hand, without the basic knowledge build in Category 1 – Category 2 cannot exist. There would be nothing to build on. The student must have some basic understanding of the art, how to move his body, and what to do in a variety of scenarios. On the other hand, Category 2 acknowledges that Category 1, if unchallenged, is not sufficient in preparing the student for the realities they will face. It is too “cookie-cutter” and there is no room for improvisation .What was built in Category 1 begins to be “put to the test” in Category 2. In our own martial arts system, Category 2 might have the student now begin to “walk the street” in class. In this training drill the student is attacked randomly from one of the individuals making up the two sides of “The Street.” Although they know an attack is coming at any moment, the student is not sure who the attack will come from or what the attack will be. When attacked the student is put under pressure physically and mentally. Physically, the front choke is no longer (depending on the partners rank) simply “placed” on the neck – there is some degree of actual pressure being applied and they can begin to feel the immediate negative effects of the choke. The attacker may no longer be standing in one spot as they perform the choke. Perhaps they are forcing the Tori backward on his heels as they apply the pressurized front choke. Mentally the student has to overcome the anxiety of an imminent attack, recognize when the attack is on, deal with the discomfort (a potentially new feeling) of the attack, recall the correct technique, and perform it with the best possible results they can achieve. When the second attack comes, a front bear hug, they bad guy is no longer waiting for you to find the pressure point as you gently perform your technique. If you don’t find it quickly, they are going to pick you up and carry you away or slam you to the ground. If you take too long and are now in the air – you might have to improvise – coming up with a creative solution (albeit based on what was learned in Category 1) to a new problem you may not have encountered in their Category 1 training. Any form of the many surprise or random self-defense training sessions we practice likely fits in Category 2. If you aren’t sure what you’ll be attacked in, are encountering an attack that might be different than you’ve experienced before, and you might be forced to improvise and “go with the flow” if your initial defense goes wrong (or a unexpected follow up attack occurs by Uke), you are likely in Category 2. In karate, when one is performing surprise Ippon Kumite (one step sparring) or Ippon-Jiyu Kumite (free movement one step sparring) you are in Category 2. In jujutsu, if you are performing “mock randori” in which there is free movement and one person is throwing at a time. You are also in category 2. A key feature of Category 2 is that although it can be VERY intense and feel very much like “the real deal,” there are always pre-designated roles for the training partners. One partner is the Tori and the other partner(s) is the Uke. This means that training is ultimately intended to improve, test, and benefit the current individual designated as Tori. If Category 1 gives us the baseline or the ideal of what we want to achieve, Category 2 gives us a sense of how chaotic things will become in the real world. Nuanced idealism is meshed with “whatever works” practically at that moment, even if the techniques aren’t always pretty or perfect. Category 2 training is an absolute MUST for a truly effective self-defense system. If one practices Category 1 exclusively, Category 3 exclusively, or Category 1 & 3 at the exclusion of 2 – they are missing a truly essential component that bridges the gap between these other important categories of training. The training methods of this category are defined by the fact that all training is done within an agreed upon framework. However, within the structured guidelines of the framework (which safety is always a part) training partners are entirely free move as they wish. There is no pattern. Partners training in these drills are not taking on pre-assigned roles of Tori and Uke. Although students are “partners” in the spirit of mutually beneficial training – in this category of training session they are opponents. Lastly, the results of their work should have objective resultsthat provide empirical data. The framework of drills in this category can be highly restrictive with a very narrow goal or, conversely, it can be the opposite end of the spectrum with very little restriction and broader training goals. One example of a freestyle drill that is exceedingly restrictive is chi-sau. Chi-sau, sometimes referred to as “sticky hands” or “push hands,” is a sensitivity drill that is highly effective in learning how to truly feel the intent of a motion, redirection of energy, controlling someone without physically grasping them, and helpful in developing a dual physical nature which endeavors to have the student be both firmly rooted but also highly flexible with the ability to adapt to real-time changes in attack. Shihan Arel was fond of a free-style drill that was highly restrictive in nature but immensely beneficial (and fun). I don’t know if the drill was ever given a name but I always refer to it as the “Head Tap Drill.” This ne-waza drill teaches a student how to move on the floor and to protect their head while a standing attacker attempts to “tap” them on the forehead (which could be a punch in real life). Contact is light but the drill is highly dynamic and competitive. The person on the floor starts in a supine position and the opposite partner starts standing up. They both have a goal: the student on the floor wants to keep the standing partner from touching their forehead for as long as possible. The person standing up wants to touch the floored partner on the forehead as often and as quickly as possible. Their goals are directly opposed to one another. Each student is determined to be successful and not allow the success of the other partner. At the annual IKA National Seminar, Kaicho Howard frequently uses this category of training to finish off the brutal early morning KMT training sessions. It is among the most beneficial and popular sections of KMT. The rules are simple – two students face off with colored markers (simulating knives). The goal is simple – color your partner in vital areas without getting caught yourself. Both students have the same goal but they are in direct opposition to each other. At the end of the session you have a lot of objective empirical data. If you have little to no markings, especially in vital areas, you fared well in the simulated knife fight and would have survived. If all of your vital areas have more colors on them than the rainbow – the objective results speak for themselves. The beauty is that different students come up with entirely different strategies and they find what works FOR THEM. The strategy taken by one student very successfully, based on the objective results, might not work for another student. They are completely free, within the framework of the drill laid out by Kaicho, to attack and defend as needed. Randori is the classic example freestyle training. Within the framework of the session, partners are opposing each other with full resistance, full determination, and throwing techniques are performed with as much power as can be safely executed. Randori provides, especially when NOT done with any scoring or shiai (tournament) style emphasis, a lot of empirical data. Can you truly use your favorite throw effectively? How well and consistently are you able to throw someone who is doing EVERYTHING (within the framework) in their power to not allow that to happen and who, of course, is trying to do the same to you? If you and your partner randori for 20 minutes and you weren’t able to throw them a single time, it gives you objective data. If, on the other hand, you were able to consistently perform Tai-Otoshi on him a dozen times despite him doing everything in his power and knowledge to stop you – it also gives you empirical and very objective data. Chances are that if a resisting, skilled, and knowledgeable opponent can’t stop you from doing Tai-Otoshi – than the drunken guy who tries to rough you up and has no knowledge of what a jujutsu throwing technique even is, won’t be able to stop you either. However, if you were to stay exclusively in the category of cooperative, no resistance, pre-arranged practice with Tai-Otoshi – you might believe your technique is better than it actually is. It would be best to find out in randori sessions at the dojo than on the street! Jiyu Kumite or free-style karate sparring is analogous to randori for the karateka. With a framework set by training partners (of appropriate experience and rank) or by instructors, karate partners are simulating a fight with all manner of striking techniques. Students learn which techniques work best for them and where they are weak in defending. Organically it teaches students to take advantage of openings in their opponent’s defense and also how to attack while minimizing their own openings. Distance, timing, and accuracy all become critical in this type of controlled but free-style training. If you are consistently getting hit with a mawashi geri to the abdomen by your training partner it gives you objective data. When it happens with several different partners, it becomes truly difficult to convince yourself that you’re really good at blocking mawashi geri. The empirical data that jiyu-kumite provides shows that fact to be otherwise. The end result is a student who becomes aware of a weakness and becomes motivated to correct it. Each of these free-style training drills has an inherent training flaw for the person who studies for self-defense. The flaw must be present in each drill to ensure safety and focus. The way to fix this inherent problem is to incorporate a freestyle drill (and training from the previously mentioned two categories) that addresses the flaw in the previous drill. For example, in randori one is not allowed to strike at all. How does he learn to adapt in real time to striking techniques and return fire? How does he learn how to take a (controlled) blow and keep his composure? Traditional judo or jujitsu randori won’t assistance with that at all. So although randori training is highly beneficial in developing the area it is addressing, if that is the full extent of the “live” training – the student is still incomplete. Some semi-free or free-style kumite from time-to-time could help him learn to use adapt to incoming attacks outside of the close-quarters range. For the karate-ka experienced with kumite – some occasional live training drills that focus exclusively on groundwork or throwing might be useful (even if not his area of expertise). After all, what if an attacker were to get through the strikes and grab them or force them to the floor? Ground fighting or ne-waza has loads of potential for both very restrictive and highly free forms of live training. Training partners could, within an understood framework with safety build in, freely exchange techniques with opposing goals. For example, one student might be assigned to force his training partner to submit exclusively with the use of shime-waza (choking techniques). His training partner is given the goal of submitting his partner exclusively with the use of an armbar or shoulder lock. They may or may not be aware of the other person’s goal. Other times allow students to have all of the same techniques randori on the ground. Students learn how to control their body, the various advantageous and detrimental positions of ground work developed by jujutsu and judo masters, etc. In a restrictive but lively ne-waza drill that I had the pleasure of observing, Sensei Webster led a group of kids at the Connecticut 2012 Gasshuku. He had one student with the goal of simply holding the person down on the mat and the other student’s goal was to get up. You could only use osae-komi (positional control) – no joint locks, pressure points, chokes, etc. They were given 30 seconds. Although limited in technical scope, the kids had fun experiencing a real battle of technique and willpower. The drill produces objective results. Either you can get up or you cannot. Either you held your partner down or you didn’t. There are variations to these. Creativity and clarity of purpose, along with safety frameworks, is all that are needed. In a standing punch defense drill with senior students – one student wears boxing gloves and the other student a protective helmet. The student with the boxing gloves wants to cleanly (with control) punch the person standing up with a round house punch. The other person wants to throw. Both students want to achieve the goal and they are opposed to one another. The defense won’t ever be as pretty as a teaching example in class or public martial arts demonstration. Freestyle drills are massively beneficial in developing the attributes necessary to be effective in really dynamic situations. In the words of Master R. Robert (rokudan), “It is one thing to shoot a basketball perfectly on the court – it another thing to do that while Shaquille O’Neal is trying to stop you.” If you can still achieve the goal despite that type of opposition – the results are objective and speak for themselves. There is no need to “believe” that you can. The empirical data proves it. There is nothing subjective about the end result. Did you or did you not get past Shaq? Did you or did you not throw your opponent, achieve the choke, get up from the bad position, get your head “tapped” from your standing opponent, etc.? By having a variety of free-style training methods you fill in the gaps of the inherent flaws that must be present, for safety reasons, in each of the individual drills. These drills also help students find their own tokui-waza (preferred or favorite techniques). If these training sessions are done WITHOUT regard to winners and losers or keeping track of points – we ensure that we keep a combative focus and don’t fall into the sport trap. These training drills should have no “winners” or “losers.” If you working randori – simply randori for an allotted period of time.” No one is keeping track of the score. There is no score. If you are doing a form of kumite – there are no “points” to be achieved. It is a training session. Just like a basketball team at practice – there is no winning team. They are on the same team and training as a team – even if opposing each other sometimes. This is the paradox of freestyle training. You can practice with full resistance, full intensity, and are completely free to work your techniques – but you are limited in the techniques you can perform. However, although you are limited in which techniques you might be to perform you are ACTUALLY EXECUTING THEM against an opponent who doesn’t want you to do so! You aren’t subjectively telling yourself whether you can or can’t do something – you will truly know based on the objective results. Although all techniques are not on the table – you become accustom to truly applying a wide range of techniques in truly dynamic situations and learn to deal with someone who is just as determined to apply them to you. You develop fighting spirit! The argument against live/freestyle training because “it has rules” and you “can’t use all your techniques – like doing an eye strike or a groin grab” is silly. It is just as invalid as stating that one shouldn’t practice any kata because a real fight isn’t pre-arranged pattern of events and that punching the air thousands of times feels very different than a real fight. By the way, when you practice an “eye poke” and “groin grab” in pre-arranged practice… you still aren’treally doing them. It is a simulation…and that is fine! That is the best we can do safely! Making statements like those above, in either direction, is a dogmatic extreme. A serious martial artist should have moderation and dismiss both extremes. The paradox is clear. If you train only in pre-arranged, no resistance formats – you can practice a wider range of techniques (neck breaks, eye pokes, groin kicks, throat strikes, etc.). The world of techniques you can practice is so much greater! However, because you NEVER actually fully execute them on a partner who is truly fighting you – it is impossible to have entirely objective data. You might not be as effective as you could be or think you are. If you have been training exclusively in pre-arranged format and have never REALLY had someone REALLY try with everything they’ve got to stop your technique how do you REALLY know that you are effective? How do you even know that you have the physical endurance to deal with it? How do you know you can take a hit (especially when you didn’t see it coming)? Because a teacher gave you a new colored belt or fancy title? How many honestly think that the average Aikidoka could redirect and throw the non-telegraphed punch from a truly determined professional boxer or the attempted takedown of a highly motivated collegiate wrestler? It is one thing to redirect a pre-arranged exaggerated punch from the optional distance with no resistance from an Uke all too willing to take ukemi and it is quite another to defend against a determined foe who dictates the terms of his own attack! Does that mean that all of the Aikidoka’s training and the techniques within the syllabus are invalid? Absolutely not! As Master Kano proved – it wasn’t the techniques that were the problem. It wasn’t even the format of the training that was the problem. It was the EXCLUSIVE nature of training in one format that was the problem. On the flipside: If you train exclusively in free-style training formats like randori, kumite, ne-waza-randori, chi-sau, KMT Knife Fighting, etc. You may actually have the ability to fully apply your techniques against a resisting opponent but if you train only in one of those free-style formats (and are focused on point scoring) you leave major gaps in your overall development. Additionally, if you train exclusively in a realm where “forbidden” techniques and situations never cross your mind – such as eye poke, a groin kick, or a completely surprise attack – you become highly proficient in a specialized area but are severally limited in your perspective on what you could encounter in a real fighting situation. A high school wrestler trains in a freestyle format on a regular basis and might become HIGHLY effective (and tough) on the wrestling mat as a result. However, how effective could he be if suddenly head-butts were allowed in the match (or a knife attack)? How would the Olympic Tae Kwon Do champion fare if suddenly his opponent tried to grab his leg and throw him and then lock his arm in juji-gatame once he hit the floor? Such a tactic isn’t even on his radar screen because when he trains that is “never” allowed! If a situation is prohibited by the rules of the individual’s combat-sport than it isn’t worth training or considering. This is the perspective of many who advocate this approach at the exclusion of other training formats. This doesn’t discredit the training and value of free-style/live training – it simply reinforces the need for a balance between the various drills in the category as well as practicing outside of the category. Balance equals power. Ultimately, Kano had it right. Do you?